Although previously unknown among natives in EU28, the practice of female genital mutilation/cutting is a present concern for European policymakers. As many as 500,000 foreign-born girls and women in Europe have probably undergone the practice and, according to projections, Livia Elisa Ortensi warns, their number will rise at a rapid pace in the next decades. 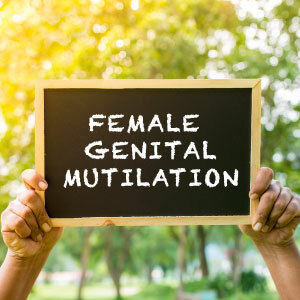 Female genital mutilation/cutting (FGM/C) is a harmful traditional practice that includes all procedures that intentionally alter the female genital organs for non-medical reasons. It is internationally recognized as a violation of the human rights of children and women, and is considered as a form of gender-based violence and one of the many manifestations of gender inequality (EIGE 2013). 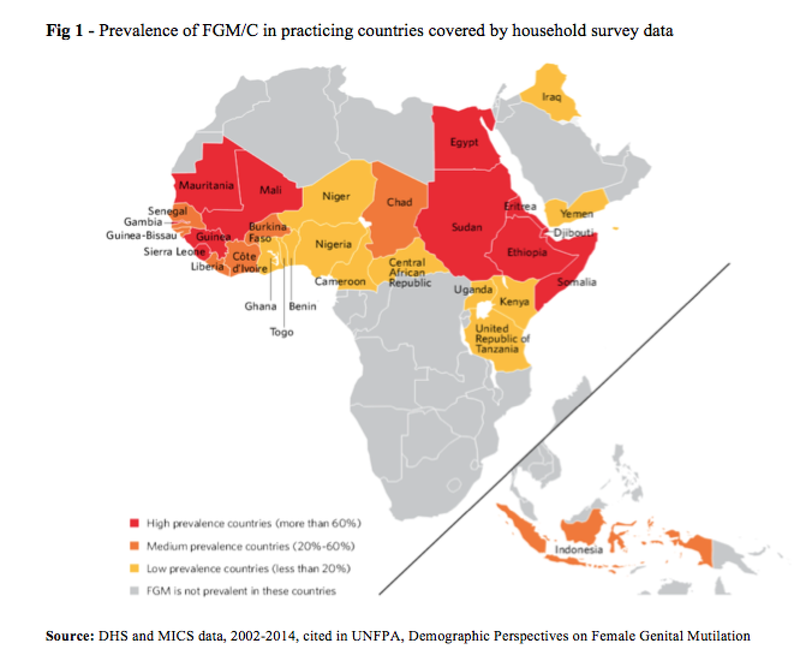 The practice of FGM/C is highly concentrated across a vast geographical area of Africa that goes from the Atlantic coast to the Horn of Africa, in areas of the Middle East such as Iraq and Yemen and some countries in Asia like Indonesia. The most recent global estimate of the phenomenon based on evidence from large-scale representative surveys carried out in 30 countries hypothesizes that at least 200 million girls and women living in practicing countries have been subjected to FGM/C (UNICEF 2016). Although it occurs differently across communities, research has underlined some recurrent factors underpinning FGM/C, such as cultural tradition, sexual morals, marriageability, religion, health benefits, male sexual enjoyment and a common concern for the normative regulation of biological and social reproduction (Berg and Denison 2013, Andro and Lesclingand, 2017). It is difficult to estimate the number of migrants with FGM/C. To do so, scholars must overcome two major challenges: first, to assess FGM/C prevalence among migrants of different national groups, and second, to determine the number of women living outside their country of origin (Ortensi et al., 2015). Applying different methods of prevalence estimation or failing to use comparable data makes it impossible to compare studies across countries. The first and most recent estimate at the European level is based on the 2011 census data and takes into consideration only first generation women aged 10 years and over (Van Baelen et al., 2016). 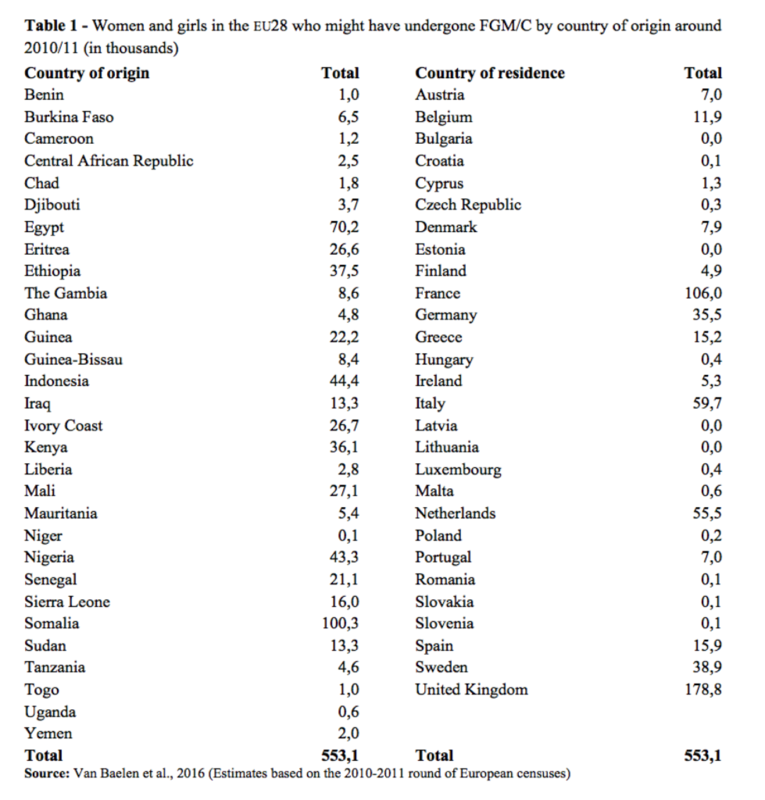 The study suggests that around half a million women and girls from FGM/C practicing countries and living in the EU28 may have undergone FGM/C. Two in three were living in the UK, France, and Italy, one in two was born in East-Africa. These data do not include second-generation girls or first-generation girls younger than 10 (Table 1). Most European qualitative and quantitative studies show a gradual distancing from the practice in migrant populations and a change in attitudes towards it in many communities, implying a dramatically lower risk of undergoing FGM/C for second-generation girls than what would be expected in their parents’ home countries (Johnsdotter et al. 2009; Farina and Ortensi 2014). Therefore, even if the incidence of the practice is decreasing in many countries (Andro and Lesclingand, 2017), most of the growth in the number of women and girls affected by FGM/C in the future will be the consequence of demographic growth and immigration from practicing countries. The demographic context of FGM/C practicing countries suggests that overall migration, and especially female migration, from these areas towards western countries will increase in the coming years, bringing new women with FGM/C into Europe. 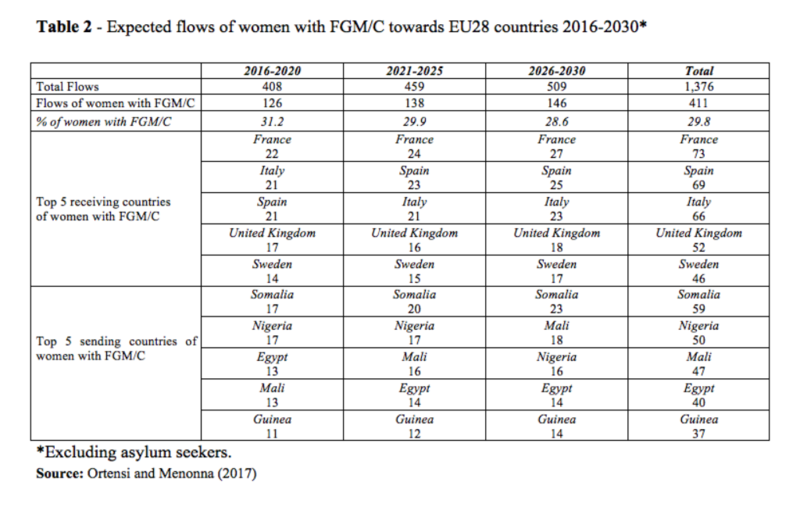 According to recent demography-driven and FGM/C trend-based projections corrected according to the hypothesis of migrant selection, the EU28 countries will receive a flow of around 400,000 women from FGM/C practicing countries between 2016 and 2020. About one-third of them, corresponding to an estimated 127,000, will have likely undergone FGM/C before migration (Ortensi and Menonna, 2017). If projections are extended to the period 2016-2030, the overall expected flow of migrants will exceed 1.3 million women, corresponding to more than 400,000 with FGM/C. France is expected to be the main receiving country of females with FGM/C in the coming years, with around 20% of the total number of cut women. Italy and Spain are also expected to receive large numbers, along with the United Kingdom and Sweden. On the contrary Bulgaria, Croatia, Romania, Latvia, Lithuania, Estonia are expected to be virtually unaffected by the phenomenon. As a consequence of international migration, Female Genital Mutilation/Cutting (FGM/C) is an issue of rising importance in western societies. In the EU28 countries there may already be more than 500,000 women who experienced FGM/C earlier in their life, and many more may arrive in the future. The strategy to deal with FGM/C in a non-practicing context such as the EU28 is twofold. First, medical assistance must be provided for girls and women who have already undergone FGM/C; second, measures must be taken to prevent this practice in second-generation girls and uncut first-generation migrant children in each country-specific and typical age bracket for cutting . As the number of women with FGM/C in Europe is expected to rise, it is important to act in good time by designing targeted interventions and policies at national and European levels to assist cut women and protect children. The need for such measures is particularly compelling in France, Italy, Spain, UK and Sweden, which are likely to be the preferred destinations of migrants from FGM/C practicing countries. Andro A., Lesclingand M. (2017). Les mutilations génitales féminines. État des lieux et des connaissances, Population 2016/2 (Vol. 71), p. 217-296. Berg, R., & Denison, E. (2013). A Tradition in Transition: Factors Perpetuating and Hindering the Continuance of Female Genital Mutilation/Cutting (FGM/C) Summarized in a Systematic Review. Health Care for Women International 34(10): 837-859. EIGE – European Institute for Gender Equality (2013). Female genital mutilation in the European Union and Croatia Vilnius: EIGE. Farina, P., Ortensi L.E. (2014). The mother to daughter transmission of Female Genital Cutting in emigration as evidenced by Italian survey data. Genus, 70 (2-3): 111-137. Johnsdotter, S., Kontiemoussa, A. R., & Essen, B. (2009). “Never my daughters’: a qualitative study regarding attitude change toward female genital cutting among Ethiopian and Eritrean families in Sweden”, Health Care Women International, 30 (1–2): 114–133. Ortensi L.E., Farina P., Menonna A. (2015). Improving estimates of the prevalence of Female Genital Mutilation/Cutting among migrants in Western countries. Demographic research 32: 543-562. UNICEF (2013). Female Genital Mutilation/Cutting: A statistical overview and exploration of the dynamics of change. New York: United Nations Children’s Fund (UNICEF). UNICEF (2016). Female Genital Mutilation/Cutting: A Global Concern. New York: United Nations Children’s Fund (UNICEF).